A popular new feature of the recently introduced Callaway ERC Soft golf ball has made it to retail in their premium product line. The company has announced that the “Triple Track” alignment feature will now be available to consumers in their Chrome Soft X golf balls. The ball model is popular with tour staff players like Francesco Molinari, and Xander Schauffele, and Phil Mickelson won this past February at Pebble Beach using the ball with the addition of Triple Track. 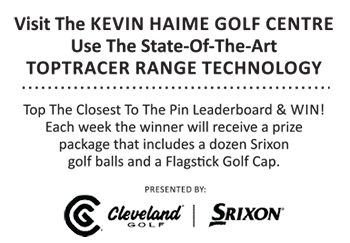 Instead of a standard single stamp line that golfers can use to try and align their golf ball to the hole, or another intermediate target, the Triple Track takes advantage of a principle known as Vernier Hyper Acuity (it’s a real thing; you can read about it here) to help the player acheive more accurate alignment. The Chrome Soft X with Triple Track will be available for sale on April 19, 2019.